How “Husbands” Predicted The Future For Gay Marriage And Digital Hollywood. Excellent article and interview with Bell, Espenson and Hemeon about the impact of Husbands and finding new venues for content. Husbands’ co-star Sean Hemeon is flanked by series co-creators Brad Bell and Jane Espenson at the 2013 Entertainment Weekly San Diego Comic Con party. The much-lauded marriage equality series centers on Hemeon and Bell, who play a hilarious mismatched married couple in the crisply written show. | Image: Chelsea Lauren/WireImage. I think they are right — and it’s very interesting to see language and usage change — sometimes practically overnight. Says Espenson: “There’s nothing on YouTube that you can’t see on your smart TV. There’s nothing on TV, essentially, that you can’t find online in some form. So [saying “Web series” is] like saying, “I heard a radio song” vs. “a CD song!” Well, what’s the difference? You can get it either place. I’ll have to start checking myself. Meanwhile, you can watch — please do; it’s terrific!! — the new season of Husbands on CW Seed. Watch the first two seasons and some behind-the-scenes videos HERE. Read some of the Husbands-related posts I’ve made over the last year HERE, HERE, and HERE. 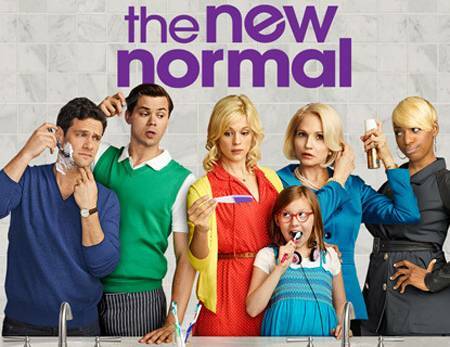 NBC’s “The New Normal,” a gaycentric series the network chose not to renew. Although most people associate the month of May with the Kentucky Derby, Memorial Day weekend traffic or beautiful spring bouquets for Mom, television has only one thing on its mind: Out with the old and in with the new. Manhattan is awash with TV folks in town for the upfronts, the annual ritual in which the networks present their fall schedules to advertisers in hopes of wooing big bucks. It is too early to tell which network will be the big winner, but this year there is a clear loser: gay characters. 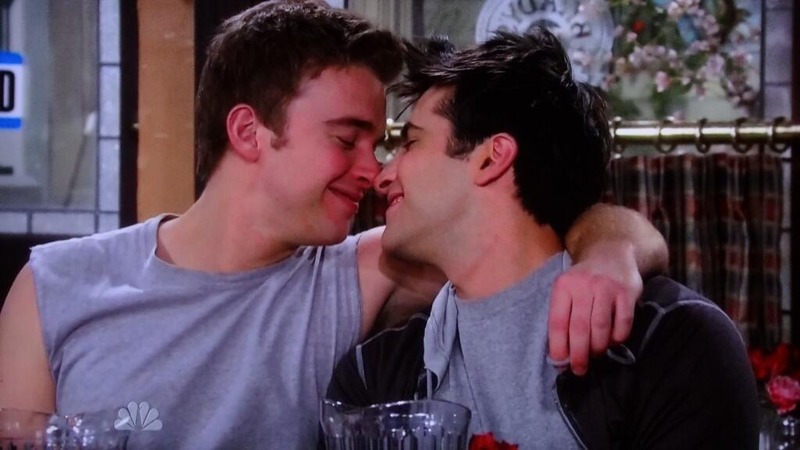 Will Horton (Chandler Massey) and Sonny Kiriakis (Freddie Smith) on “Days of our Lives,” one of the few gay couples on American television. Sadly, Hartley tells it for the truth, but I’m not sure he actually goes far enough in his hue and cry against the broadcast networks. 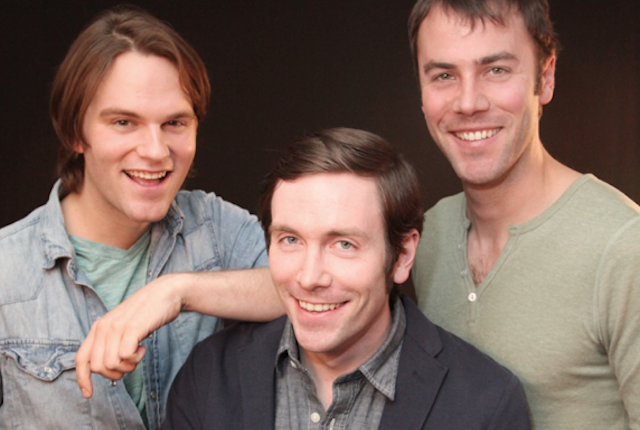 Van Hansis, Kit Williamson and John Halbach star in the superlative Web series “EastSiders,” created by Williamson and now available on logotv.com. Moving away from traditional TV to find entertainment, I would encourage you to check out these great Web series: EastSiders, The Outs, Husbands, and others. If you go to Logo to check out EastSiders (highly recommended), explore some of their other Web only offerings, such as Hunting Season. Gay web dramas flourish as TV networks cling to the status quo | Television & radio | guardian.co.uk. Some us have been ahead of The Guardian in reporting this. Ahem. See many links below. H/T Tommy Heleringer’s Facebook. More HERE, HERE, HERE, HERE to get you started. I don’t know if you’re familiar with this web series, but if you haven’t seen it, I do urge you to give it a look. Tommy Heleringer as Scruffy and Hunter Canning as Jack, two of the adorable stars of the web series The Outs. But I’m telling ya, it’s lit great and it highlights these performers. The writing is smart, edgy sometimes, gritty, unflinching, real. These characters speak as real people speak. So refreshing to see. 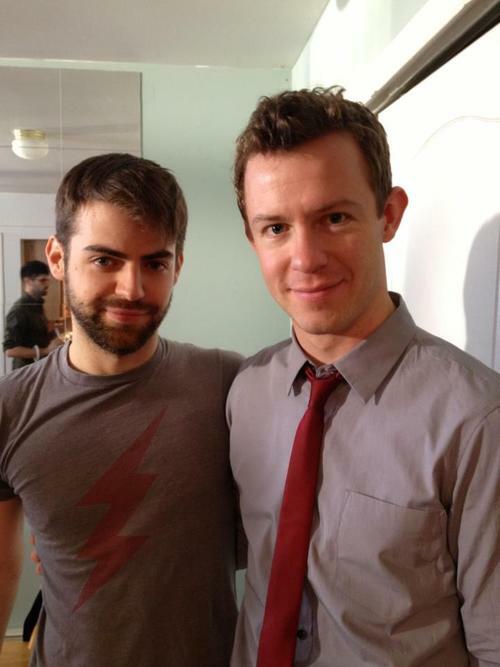 I love the web series Husbands, too, but for entirely different reasons. Husbands is the parfait of a sitcom I wish was on television in prime time. The Brooklyn-centric The Outs is the great indie project that only you and a few savvy friends have found and it makes you feel good for having some knowledge that the rest of the hoi polloi don’t deserve to care about. Well, watch The Outs. And tell somebody smart to watch it. These talented folks deserve our support. Why ‘Husbands’ Matters: An Exclusive Look at the Marriage Equality Sitcom’s Second Season | ThinkProgress. Excellent article by Alyssa Rosenberg. Read it. This is an intriguing web series — and a cut above almost every other web-exclusive show. It helps that they are in Hollywood and they’ve got some connections because, let’s face it, how else do you get Jon Cryer and Joss Whedon to appear in your web series? The first season is a series of approximately 2 minute eps. Longer, but fewer eps for the just being released season 2. The writing is excellent. And the eye candy is first rate.